Motto: "My actions speak louder than words." 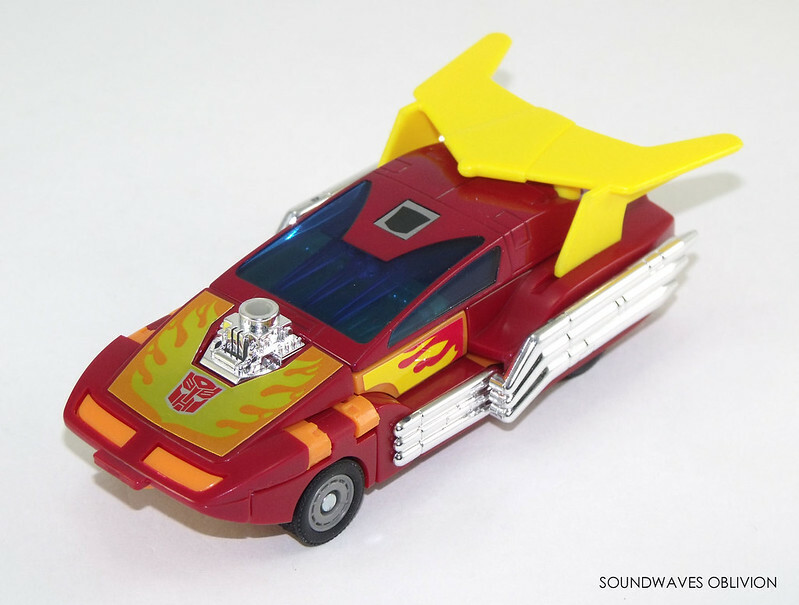 Rodimus Major is a typical adolescent who dreams of being heroic and important. Although he means well, his impulsive actions often get him into trouble. Carries two photon lasers that temporarily electromagnetize an enemy robot's microcircuits. An enthusiastic and idealistic thrill-seeker who often acts like the immature adolescent he is. Can be hot-headed, but is brave, admirable and an honourable fighter. 'Major' is an honorary title bestowed on Autobots who exhibit great potential. Motto: "Complete data analysis is essential for the synthesis of successful strategy." He always makes the right choice...but takes several minutes to make it, since he first completely analyses input from the five Technobots who comprise him. Has great strength, equipped with data processing, communications, radar equipment. Uses Scattershot's automatic acid-pellet gun. 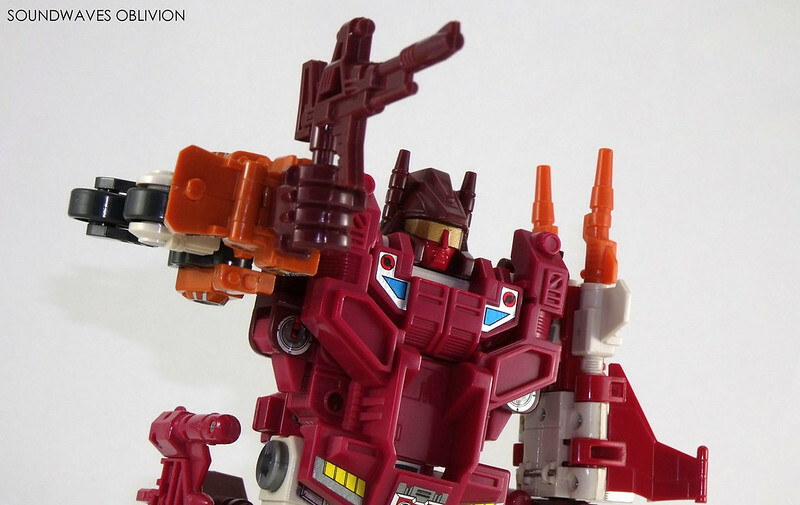 Chooses his words with great care and precision - when Computron talks, everyone listens.